OPEN HOUSE CANCELLED! UNDER AGREEMENT! 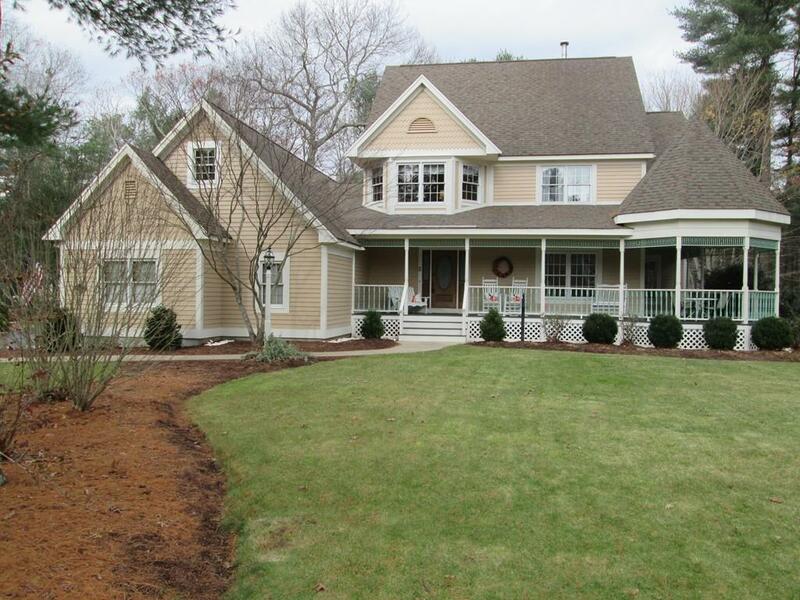 Character & charm in this beautiful home in golf/country club neighborhood of Indian Pond Estates! 4 bdrm, 2.5 bath Colonial w/full length covered front & back porches featuring recessed lighting & surround sound for your entertaining pleasure! Updates include new granite counters, new tile flooring, new vanity & counter in MBath, new paint, rebuilt heating system, Stainless steel appliances, under cabinet lighting, new fixtures & a newly built 23 x 8 walk-in closet! Spacious 1st flr laundry rm w/custom wooden counter & utility sink, walk-in pantry, family rm w/gas fireplace, Master bedroom walk in closet are just a few highlights of this home! Formal DR & LR w/HDWD & Xlge windows to bring in natural light! 3rd flr walk up attic w/roughed in plumbing already installed! Finished bsmt(game rm) & over sized 2 car attached garage w/epoxy flooring! Beautiful landscaping on a large flat backyard w/ built-in firepit & shed! Title V done! Turn key!